Our amazing Freediving Class Gear Package is only available to divers who are taking, or who have recently taken, a freedive class from a certified instructor ( FII, PFI or AIDA). Simply enter the date and freedive class location in the Order Comments box on the cart checkout page and we'll apply your discount. NOTE: Every single piece of gear in this package is professional grade gear using the absolute best materials and the best factories. 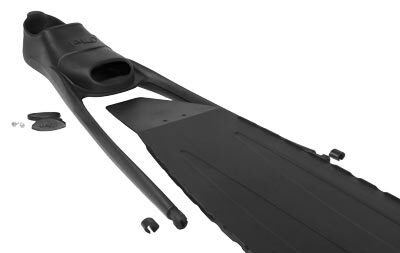 With the exception of possibly changing your fin blades to fiberglass or carbon, you will never need to upgrade anything in this package. Every piece of gear in this package is already an upgrade for even the most demanding and experienced freediver. NOTE: The only reason we can offer such an amazing package of high quality gear at such an amazing price is because we only sell direct to divers (no middleman). We do not sell to dive shops (no dive shop mark-ups). So you save a ton. 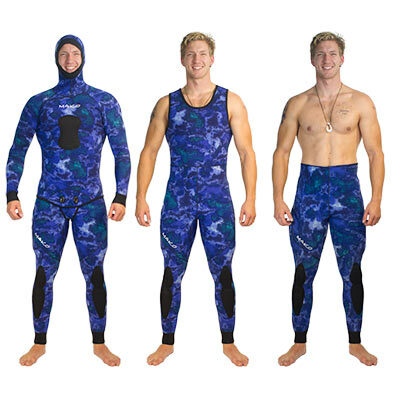 Choose 3mm Reef Camo, 3mm Ocean Blue Camo, or 5mm Reef Camo mens wetsuits. 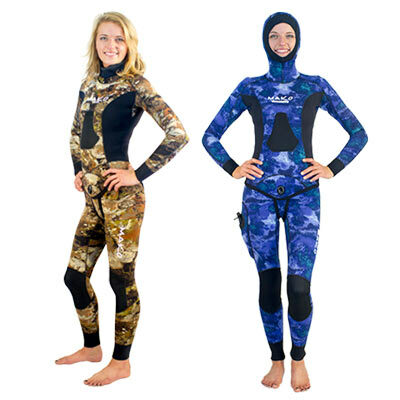 Our Yamamoto #39 2 piece Open Cell wetsuits are regarded as the highest quality wetsuits in the industry, providing superior warmth, comfort and durability. From glued and blind stitched seams to integrated an knife pocket, knee pads and a chest loading pad, our Reef Camo and Ocean Blue wetsuits are loaded with features. 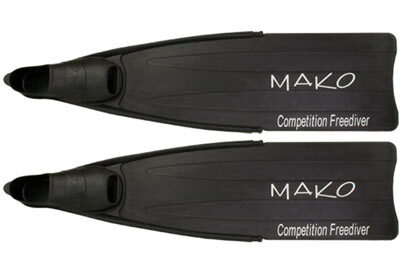 Although our Competition Freediver Fins may look like traditional plastic blades, they are not. These bent blades are made of a revolutionary new composition of 10% Fiberglass + 90% Borealis, thus offering the flex, transition of power and high performance not found in ordinary plastic blades. As your diving skills improve, our Competition Freediver Fins can be easily upgraded to fiberglass blades and even carbon blades. If you want fiberglass or carbon blades installed, please call us at 540-361-1570. Designed exclusively for freedivers, these 5 panel socks provide a custom like snug fit and will not fill up with water like the cheaper 3 panel socks. Our 3mm socks will keep your feet warm. 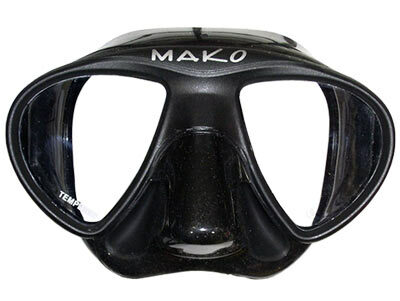 Experienced spearfishermen and pure freedivers know the importance of a low volume mask. They also know the importance of achieving this low volume without sacrificing the field of view. The MAKO Minimus (aka MINI) Mask takes this ratio of Low Volume vs. Field of View to the perfect equation, thus further minimizing the volume while maintaining optimum field of view. One thing the Europeans have figured out is freediving. 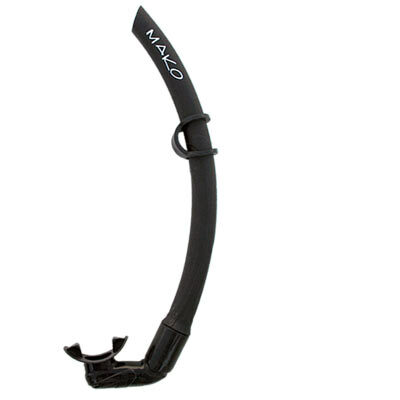 And the design of their preferred style of freedive snorkels is no different. The slimmer design of our Freedive Euro Snorkel drastically reduces friction while the ergonomic shape of the tube mirrors the shape of the divers head so as to not obstruct the diver’s vision. Start your freediving out right by using the Rubber Weight Belt preferred by freedivers. The weight belt can be worn much lower than traditional nylon belts, thus allowing significantly more air to be filled into the lungs. Our Weight Belt has the quick release feature that will be required by all freedive instructors. 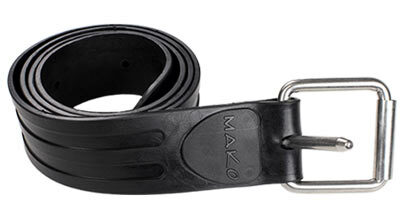 If your belt does not have this quick release feature, it cannot be worn and should not be worn. Yes, we have womens suits. Women please call 540-361-1570 to place your order. 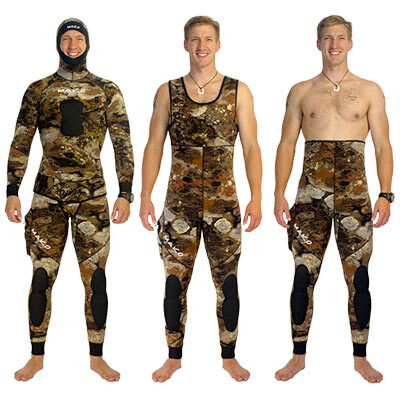 Bought a wetsuit package for cold weather scallop diving. Could not be happier with the quality and price. I called and spoke with a guy at the shop regarding a couple of questions I had and they were very helpful. Package arrived ( no shipping charges ) in three days. It was a little getting used to having never dived or put on a wet suit but the on line videos were very helpful. So far have done five dives in 38-40 degree water and stayed warm! Three friends who, having seen mine, then bought the same. Best of all my wife says I look slim in the wetsuit and that my skin is softer as well from the wet suit lube!!!!!! Great staff. Super helpful and friendly. I was blown away by the quality of products for the very reasonable price. I will recommend to my friends if I can convince them to start spearfishing haha. Cheers! Everything from shipping to quality was perfect ! After speaking on the phone with several different employees on a couple different occasions, I immediately felt like a priority. 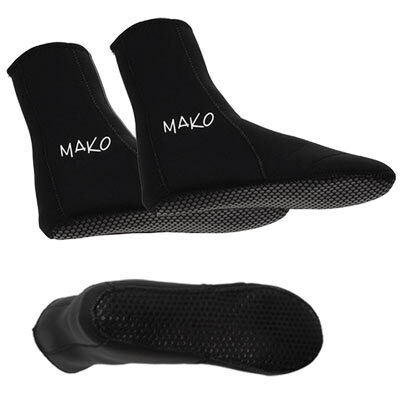 I was unsure on sizes and the crew at Mako knew exactly what I needed. After a quick shipment, I used my gear that weekend in the Florida Keys and it got the job done and more.